My research into the Great Black Swamp of Northwest Ohio and my family’s brief time there in the latter half of the 19th century turned up something appropriate to Decoration Day. Jasper Hilbert is my great great great uncle. He was born in 1849 in Defiance County, Ohio to my great great great great grandparents Samuel Hilbert and Mary Jane Ginter. Some time between then and the birth of his brother (my great great great grandfather) Wallace in 1855 the young family crossed the state line, moving to the higher grounds of the Fort Wayne moraine, on the left bank of the St Joseph River, to the little village of Newville, in DeKalb County, Indiana. Census records also place the family there in 1860, and mark a new addition to the family, Jasper and Wallace’s baby sister Keren Happenny, born that year. The 1870 census reflects two major changes for the family. First, they had moved again, now living outside Lansing, Michigan, where Samuel and Mary would spend their remaining forty-plus years. Second, only four members of the family are recorded. Jasper, who would have been 21 that year, is not listed among them. And his family evidently never learned of his fate but carried a hope that he was alive and would be reunited. Jasper is listed as a beneficiary in both of his parents’ wills, if he could be located. Mary Jane died in 1911, Samuel in 1916. The Internet allows the descendents of Samuel and Mary Hilbert to resolve the story and learn what Jasper’s family never learned. During the war Jasper left home and at the age of 15, although I imagine he passed himself off as older, he mustered into service on June 16, 1864 in Elgin, Illinois. One of the Hundred Days Men of the 141st Illinois Volunteer Infantry Regiment, lightly trained and moved to Columbus, Kentucky for garrison duties until October 10, 1864, to be mustered out of Chicago. With a month left, on September 10, 1864, Jasper died of disease. Naturally, many questions come to mind. The first set concerns the circumstances of Jasper’s parting with his family. Considering his young age and that his fate and whereabouts remained unknown to them during their long lives (matched with their long-held hope to reunite), I speculate it was not amicable. But what instigated it? Perhaps boredom. Perhaps a traumatic family fight. Perhaps the lure of adventure during wartime. The context of his time and situation will be easier to discern than the personal details of his life. Jasper Hilbert is buried in Mound City National Cemetery, Pulaski County, Illinois. 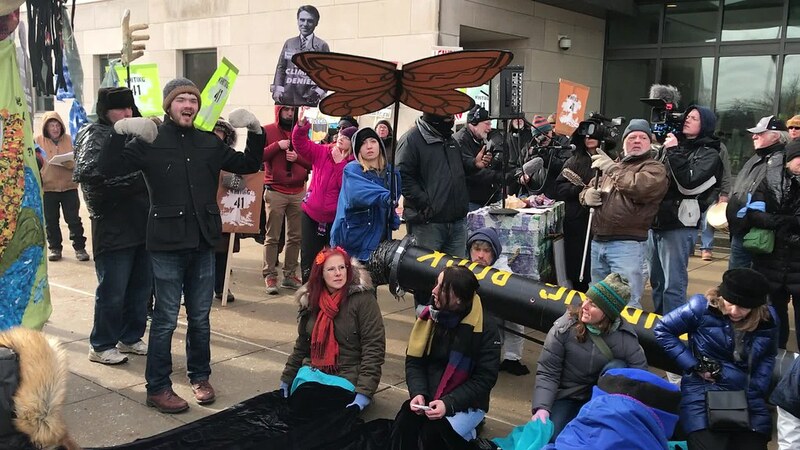 The Whiting 41 – the 41 people arrested for trespassing at the BP refinery during the May 2016 Break Free Midwest action – emerged from the Hammond Federal Courthouse to cheers from supporters of renewable energy and environmental justice. Judge Jesse Villalpando commended the defendants’ jovial spirit and dropped all charges, with the condition that none of the 41 are arrested again over the next six months. 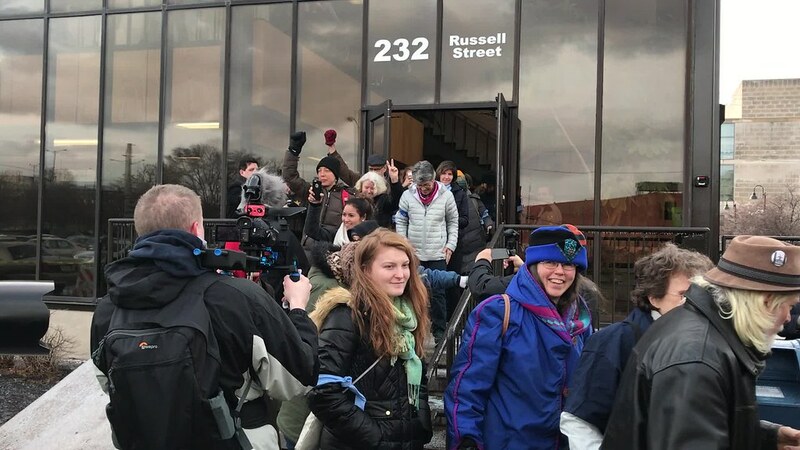 Post Tribune reporter Becky Jacobs filed a fantastic report that captured the mood in the courtroom and on the streets. The NWI Times and WBEZ also reported on the trial and subsequent action at the office of Indiana Democratic Senator Joseph Donnelly. 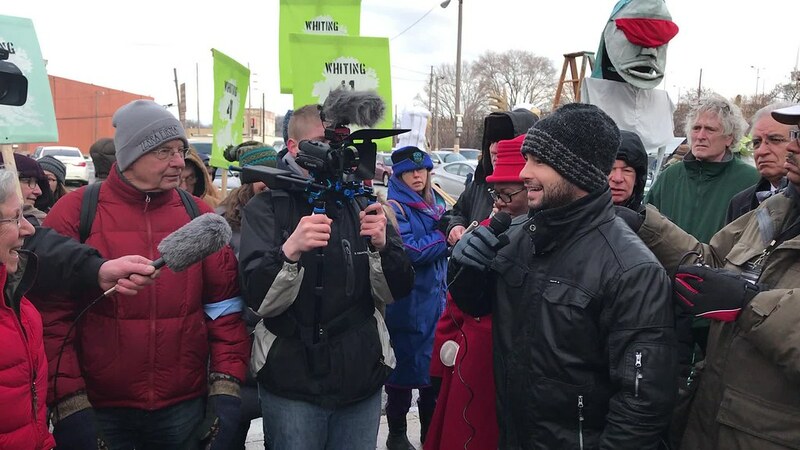 About 75 people heard speakers including 350 Indiana-Calumet and #Whiting41 member John Halstead, Shelia Gardner of National Nurses United, Joyce Morales Beckett of the American Indian Center (not pictured), and Vince Emanuele of Iraq Veterans Against The War. 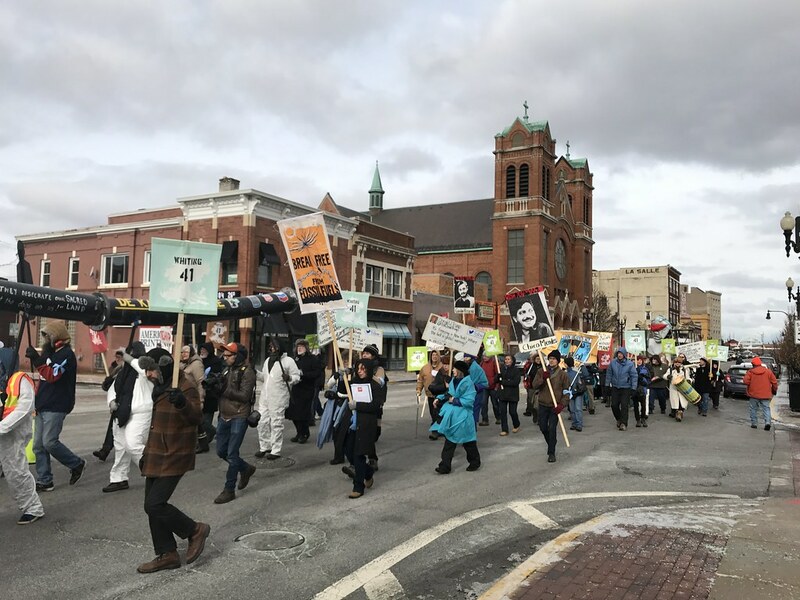 Hammond police and city workers kindly de-iced the sidewalks and alleys; marchers then took to the streets for the short march around the corner to Sen. Donnelly’s office. Once at the senator’s office, the assembled group performed a moving and effective street theatre, with loud chants replaced by soft, dynamic singing.  I’d never seen anything quite like this in my fifteen years of participating and documenting social justice actions. It was very effective. 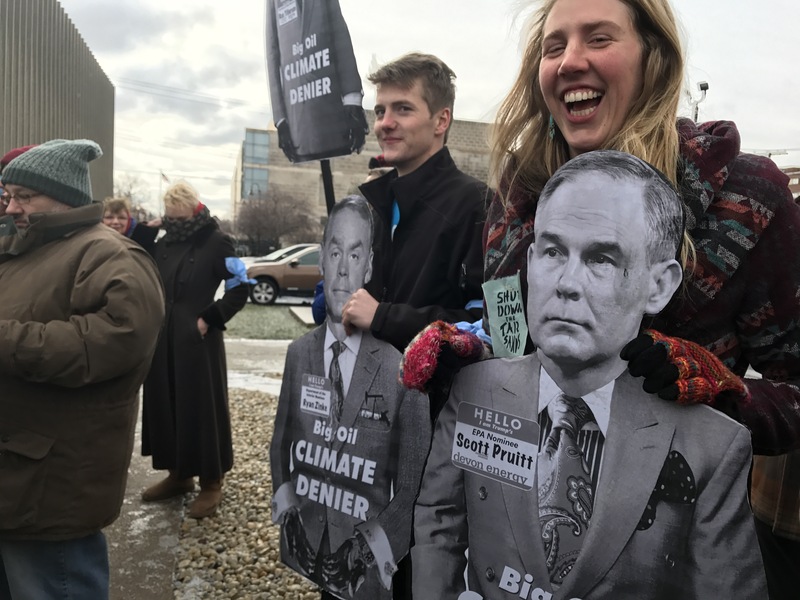 Kristin Frank of 350 Indiana-Calumet reads an open letter to Indiana Senator Joseph Donnelly calling on him to reject Trump’s Climate Denying Cabinet. Community organizing gets the goods. And after successfully pushing East Chicago mayor Anthony Copeland to request disaster relief from the state, organizers with the East Chicago Community Strategy Group continue to voice demands. The Post Tribune featured the political flak after 18 of 45 homes in the Calumet community tested positive for elevated levels of lead in their drinking water. Labor organizer Ruth Needleman posted a full list of the community strategy group’s demands on her Facebook wall. CBS Chicago’s Dorothy Tucker quotes East Chicago mayor Anthony Copeland as saying the city has “proactively added a new ingredient” to the city’s water treatment and is looking to provide filters for residents. Indiana Public Media also took a look at the burgeoning water crisis in East Chicago. Today’s NWI Times offers a double feature of much needed historical context to the Calumet lead crisis. Lauren Cross shows that while lead exposure has overall declined nationwide, the odds of testing positive for elevated blood levels for those living in heavy industrialized areas is far greater. The historical extent is unknown and the records are proving hard to come by. The article features an excellent interactive map showing instances of elevated blood levels in children across the three county region. “We don’t have great surveillance data, so it’s difficult to put in perspective.” says Dr. Bruce Lanphear, who recently spoke in East Chicago. Drinking water in eighteen homes in East Calumet have tested positive for dangerous levels of lead. This revelation comes after many months of residents and organizers keeping such concerns in the public eye. Mayor of East Chicago, IN says EPA testing shows 18 homes near West Calumet Housing Complex have elevated levels of lead in drinking water. In response, Mayor Anthony Copeland has finally asked for an emergency declaration from outgoing Indiana governor Mike Pence and Governor-elect Eric Holcomb. The Times report also notes that the EPA has suspended yard excavations as winter sets in. The Post Tribune offers a good, long overview of how the crisis went public this summer and the many decades local and state official holders to protect people’s health. This past Wednesday East Chicago mayor Anthony Copeland held his first public meeting since early August with affected Calumet residents. 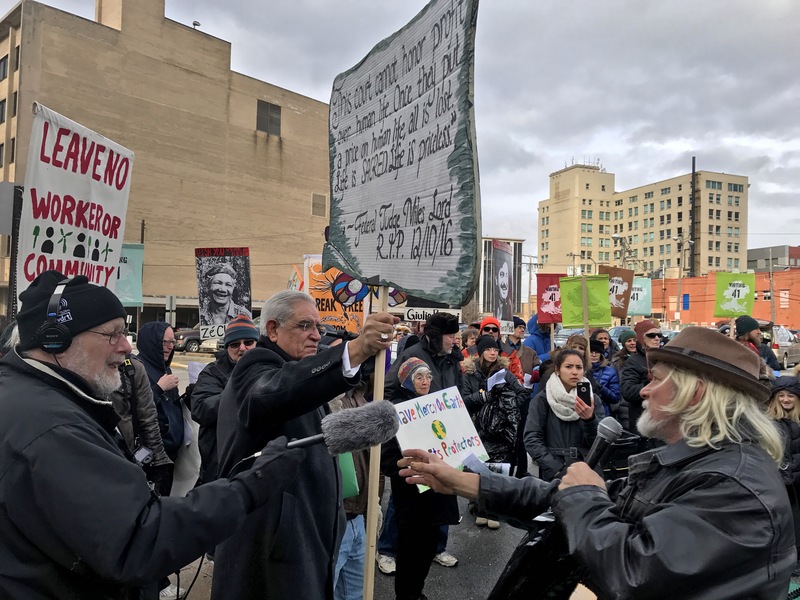 While the mayor defended his actions in addressing the crisis, organized residents stressed that it was not his lack of action but failure to communicate to his constituents that have angered so many. 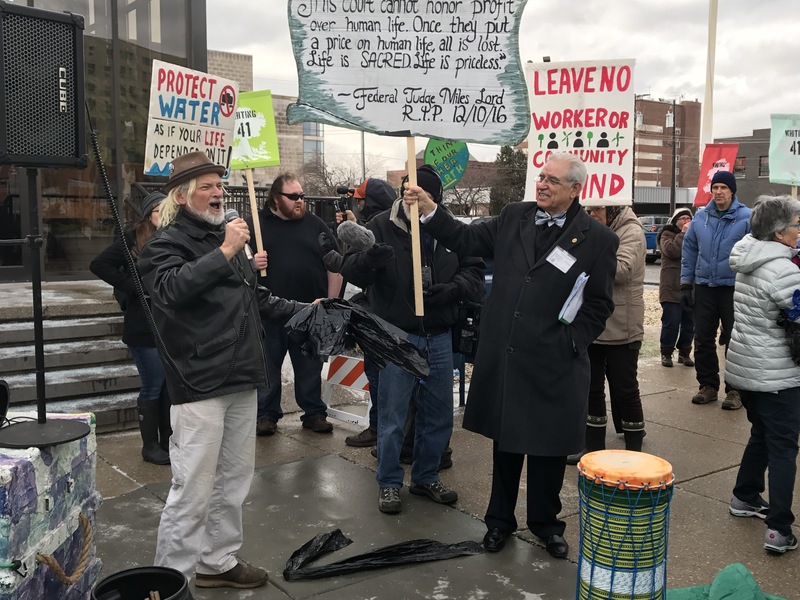 The Post Tribune tallies the many lawsuits resulting from the Calumet lead crisis (three lawsuits filed in federal court, one in Lake County Superior Court, and six tort notices filed with the city.) The NWI Times looks at the $100 million suit filed by attorneys Walter Alvarez and Eric Pavlack. The Post Tribune editorial board seems to think that Calumet residents will have a champion in Donald Trump. Because Michael Pence. Who never visited. 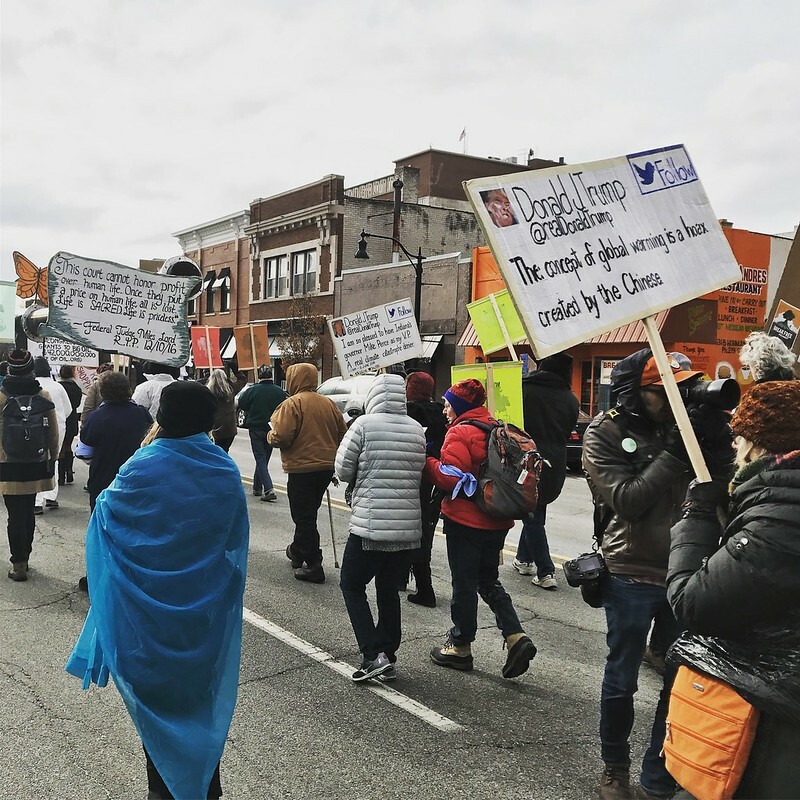 Kevin Stark from Pacific Standard returns to East Chicago and takes a look at the complicated Pastrick legacy in light of the recent civil rights settlement led by the Shriver Center. Indiana Public Media took a look at the situation at the Nicosia Senior Building. 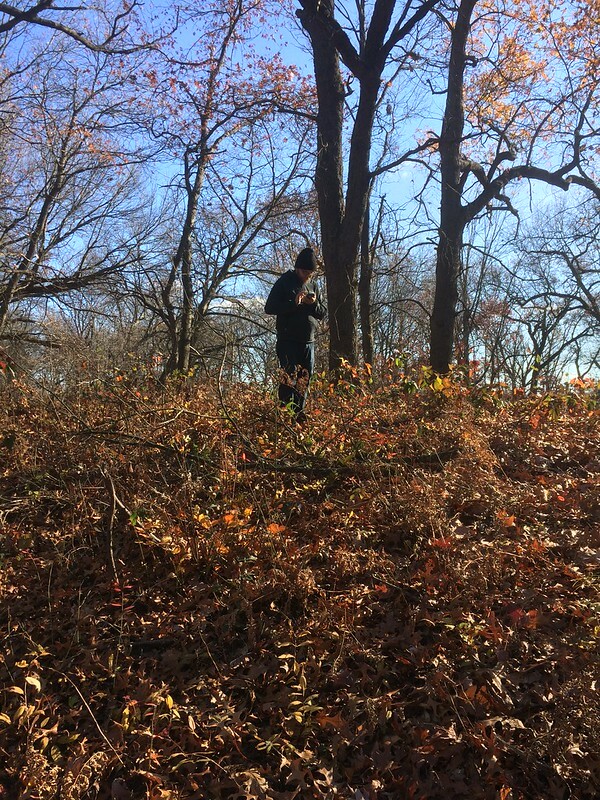 Had the chance today to tramp around an 80 acre black oak savanna, currently owned by the City of Gary. The parcel is a mere block west of Lake St in downtown Miller and is south of the Miller Woods and the Indiana Dunes National Lakeshore. 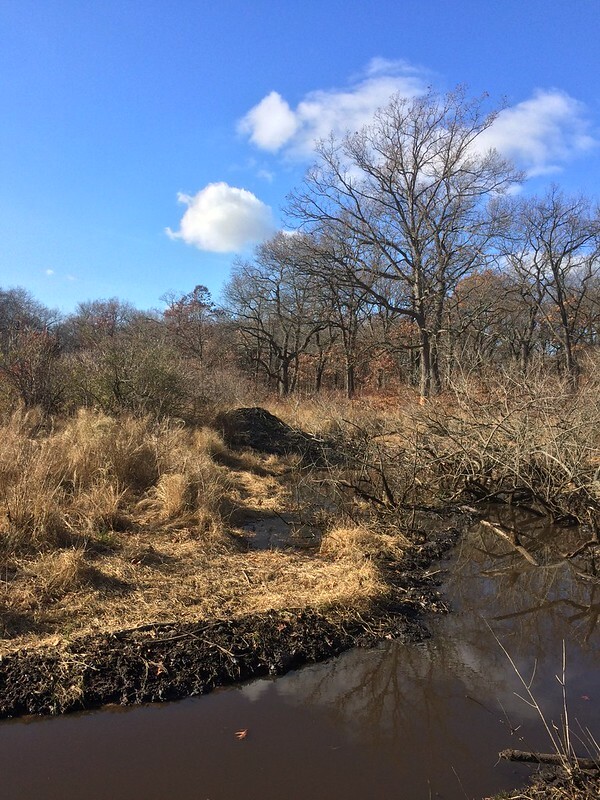 It’s a healthy dune and swale with many native plants, a clear understory with lots of space in between the trees, invasive plants relegated to the edges, and very little litter. We counted 7 tires, 2 pop cans, and a shoe. 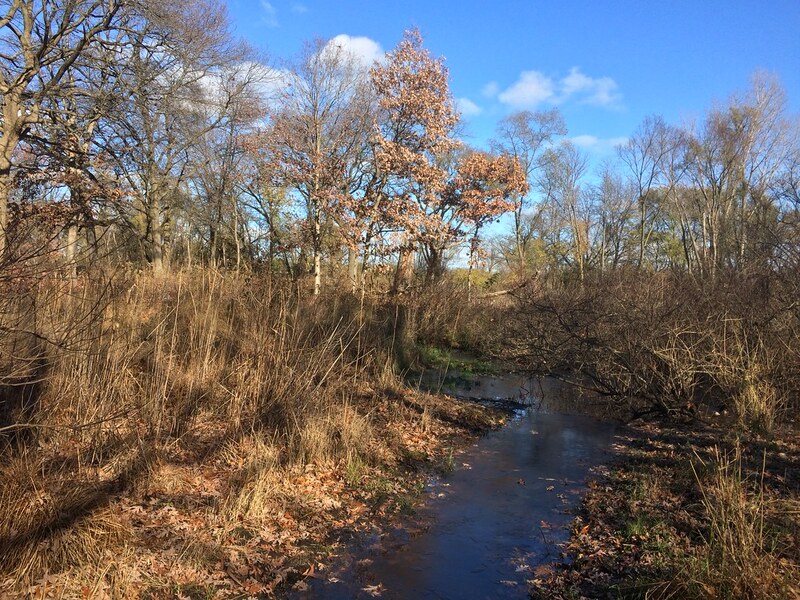 A little stream curves around low dune ridges, a true rarity out this way! 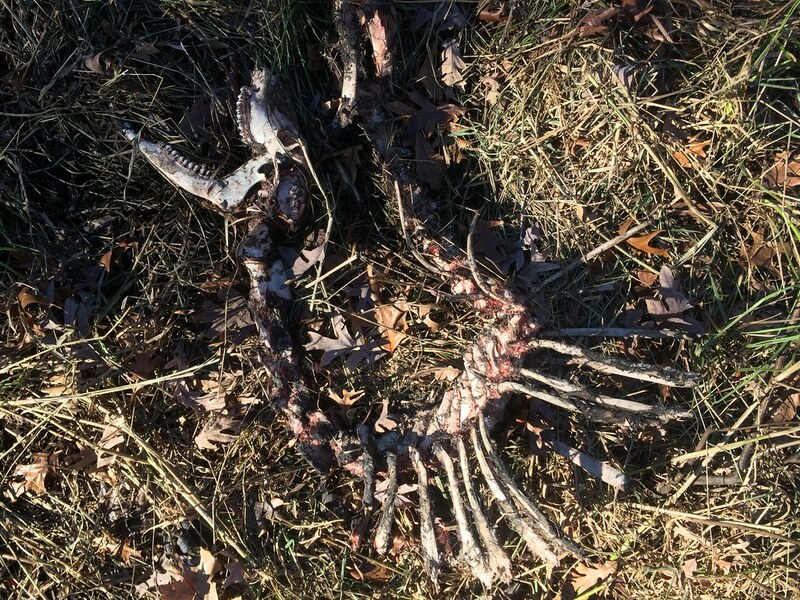 Two interesting finds: First, a partially decomposed and badly mangled deer carcass. One of the unfortunate thing’s hooves was about 15 feet away. 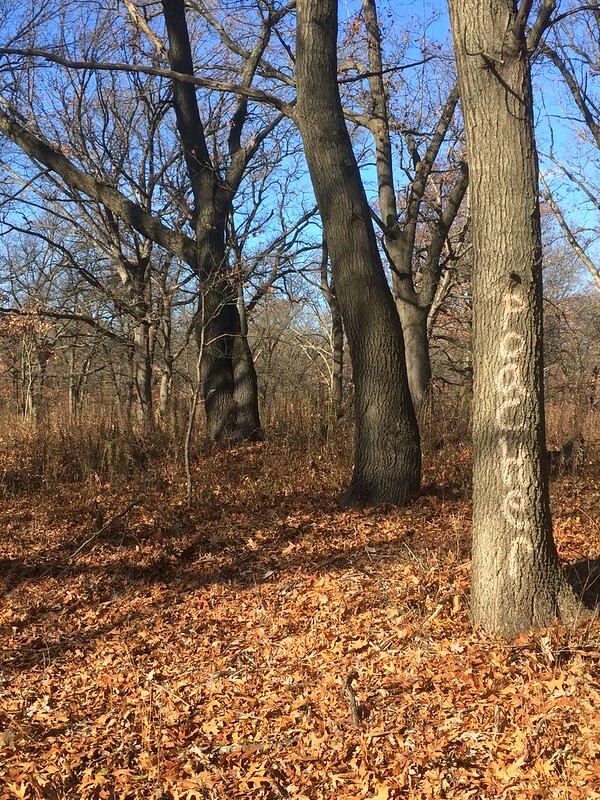 We also found the word “POACHER” spray painted on a tree. 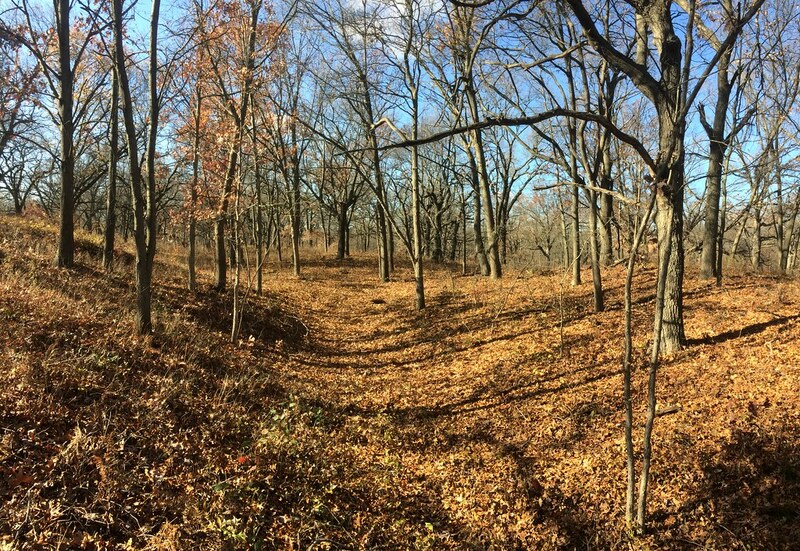 Word on the street is that a few old timers still hunt in these woods, that would perhaps explain the occasional early morning rifle shots I’ve heard. But no shells or other signs of human activity were noticed. The beaver have been busy tho. The health of seniors at ECHA properties in and near the Superfund site, and the poor response of the ECHA in getting the buildings and residents tested, has been addressed at many public meetings. Today the NWI Times reports that residents of the Nicosia building at 4720 Railroad Avenue, just outside the Superfund site, are showing elevated levels of lead in their blood, among other problems. Northwest Indiana’s longtime congressman Pete Visclosky met with concerned Calumet residents on Sunday in a basement. An appropriate venue, considering that so many homeowners in the Superfund site are finding higher levels of lead and/or arsenic in their basements than they are in their poisoned yards. 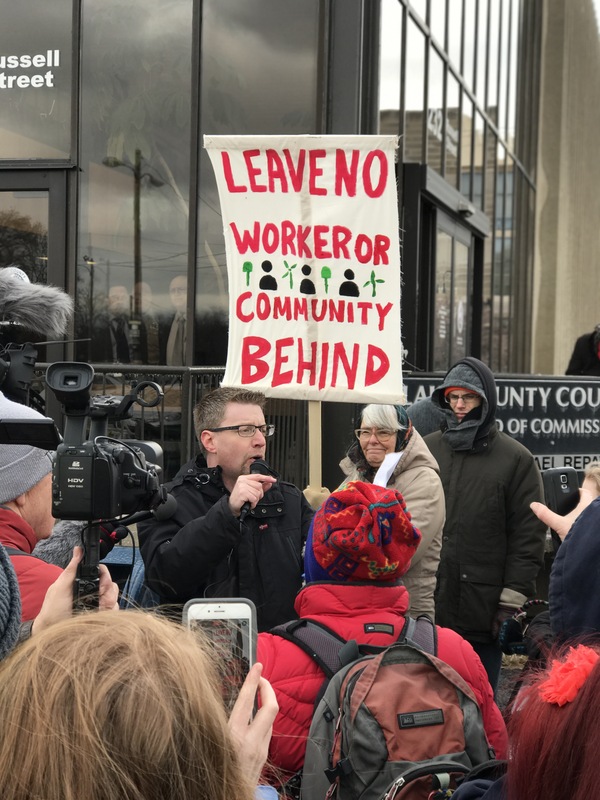 Residents expressed concerns with the chaotic moving process at West Calumet, the need for a disaster zone declaration, the need for lifelong health care, and the looming demolition of the West Calumet Complex. The Congressman made no assurances. “The first year was 30 something families, I forgot exactly how many. But 30 something families and this year we’re going to hit almost 400, even more. We got 15 families that are gonna meet us at the Boys and Girls Club in Hammond at 3pm. We’re gonna give some to certain charities. We’re gonna give some to St. Joe’s for the food kitchen. We’re gonna give to a couple of other places as well. And I just wanna say we’re gonna hit a lot of houses. “There’s different backgrounds, there are different ethnicities that are helping. Different religious cultures. Different political views. Different entities coming involved for this. Like I said, we have off-duty cops that help. We have Black Lives Matters that help. 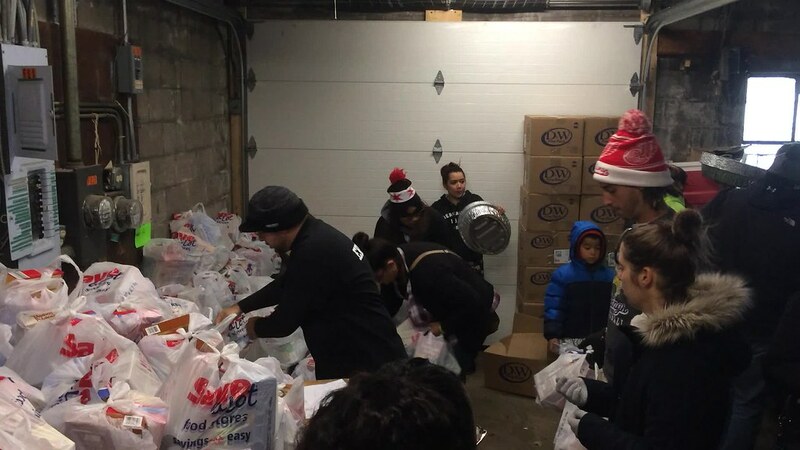 We got people that are Muslim that donated. We got people that are Jewish that donated. We got people that are Catholic. We got people that are Donald Trump supporters. People that are Hillary Clinton supporters. People that were for Barack Obama. People that are Bernie Sanders supporters. We got Calumet Lives Matters. We got people that volunteer 100% for that involved. “We got a lot of people involved in this and I just wanna say thank you again because it’s not about… none of that stuff I brought up doesn’t really matter in life if you’re struggling. If you’re struggling… that’s what happens to a lot of us. It’s people giving equal sacrifice. Some people donated one can, that’s worth as much as a million dollars that someone could have donated. So I just want to say again thank you again. One East Calumet resident learned that lead dust contamination in her basement exceeds that found in her yard. Of the 7 basements tested by the EPA, 4 have shown high levels of lead and/or arsenic. East Chicago Undivided is encouraging all Calumet residents to ask the EPA to test their basements. East Chicago Housing Authority filed noticed that West Calumet Complex residents who vacated due to health risks as far back as July 22 2015 can apply for a housing voucher and relocation benefits. Attorneys Walter Alvarez and Eric Pavlack has filed an intent to sue a wide array of local, state, and federal officials on behalf of 251 West Calumet residents. 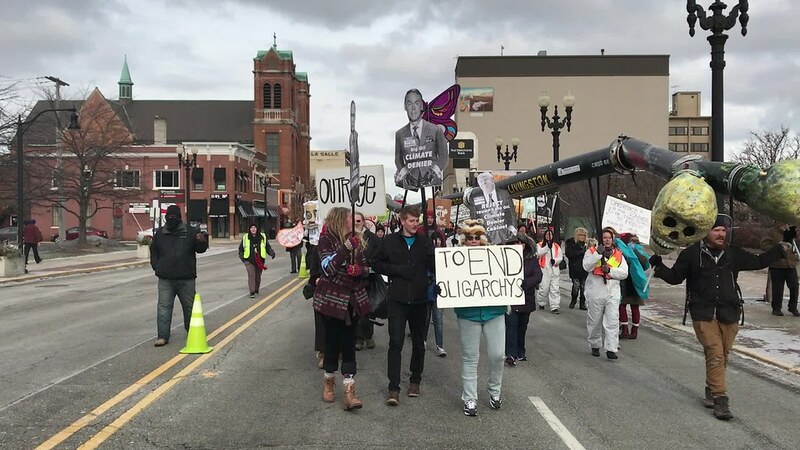 Office holders receiving the notice of intention include East Chicago Mayor Anthony Copeland, East Chicago’s public and environmental health department, the Indiana Department of Environmental Management, the Indiana Department of Health, the state of Indiana, Gov. Mike Pence, and the School City of East Chicago. Chicago magazine featured the work of photojournalist Alyssa Schukar, who is no stranger to East Chicago. Her photographs of Marktown residents still adorn that former planned workers’ community. The East Chicago Redevelopment Commission has approved $200,000 of rehabilitation projects, including one in the East Calumet neighborhood, zone 3 of the Superfund site. The Veterans Day holiday was cited as one reason by the ECHA for the slow dispersal of checks to West Calumet Complex residents who are prepared to move but are still awaiting their promised funds. According to the NWI Times, ECHA attorney stated that checks will now be cut twice a week.